Earlier this month, I was thrilled to be celebrating Timberland's 45th Anniversary as they introduce a new spin on a classic. In case you're wondering why Timberland has created such impact on the world, in 1973, they were the first waterproof leather boots of its kind introduced by Abington Shoe Company. Every detail has been specially made to incorporate premium full-grain nubuck leather, thick rubber lug soles, and unprecedented craftsmanship, the yellow boot has become its own iconic piece. Did you know that the boot never intended to be a fashion icon, but it was made for hardworking New Englanders, rugged terrain and wet weather? 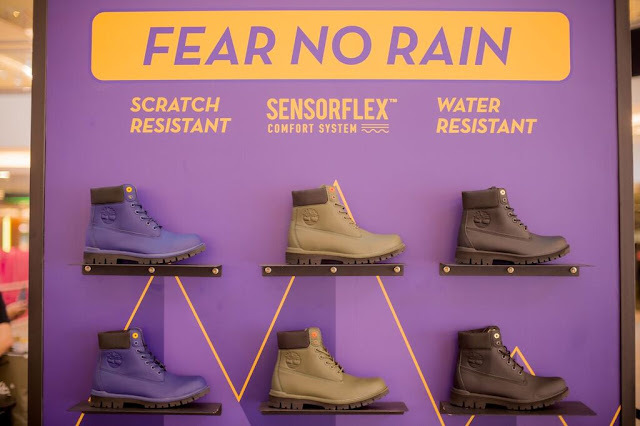 The Timberland original waterproof boot started to become popular in the mid-1980s in Italy, the United Kingdom and in Germany. 5 years later, it became popular in Hong Kong with the rise of urban hip-hop, and today, the boot has gone through a long way to be where it is today. 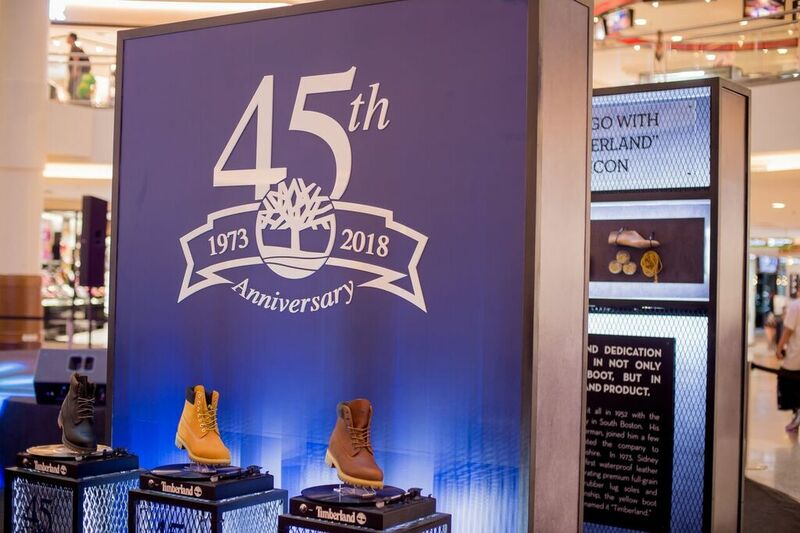 October 2018, marking their 45th anniversary, Timberland introduces a special collection of boots to celebrate the heritage of bootmaking. 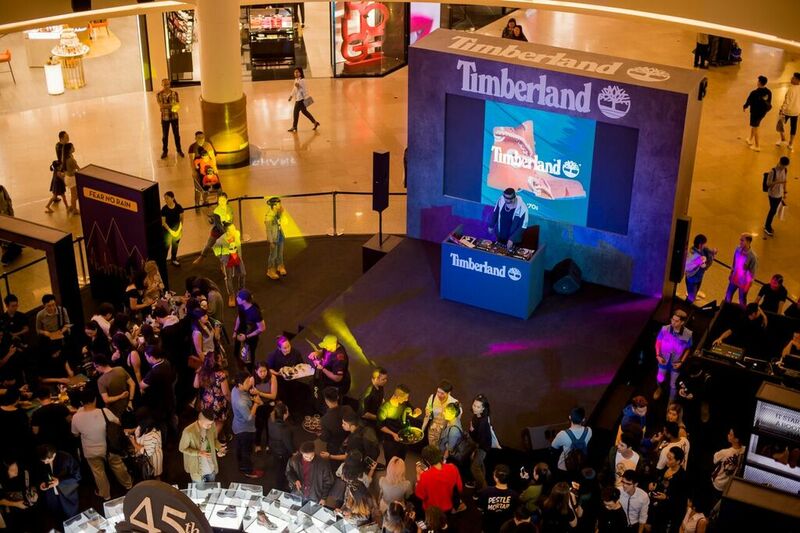 While i was at the party, i saw tons of rare collections by Timberland featuring remixes of the iconic yellow boot. Since i got a closer look at it, i could tell that the craftsmanship was excellent. Each boot presented during the party had its own flair, and its insane to be able to see such rare pieces right before your eyes. 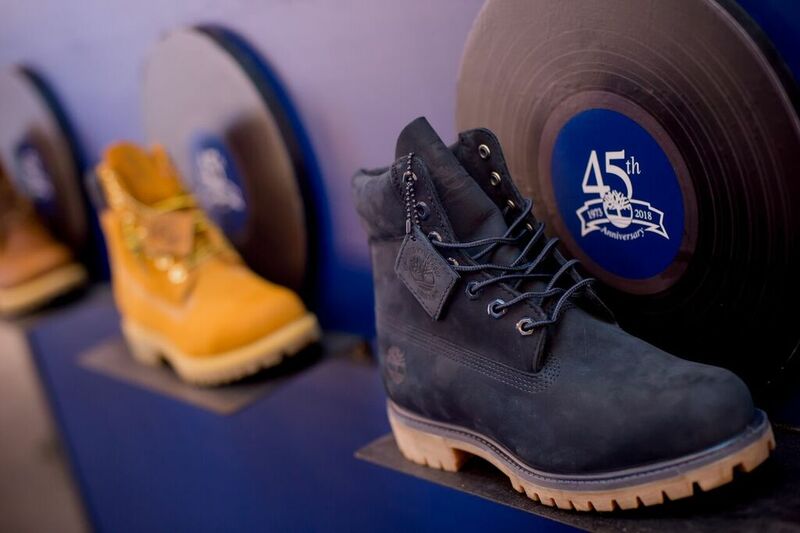 To celebrate the occasion, Timberland has added yet another collection where each boot is remixed with sapphire highlights, a symbol of the 45th anniversary, making them distinctively unique and worthy of caring on the legacy. 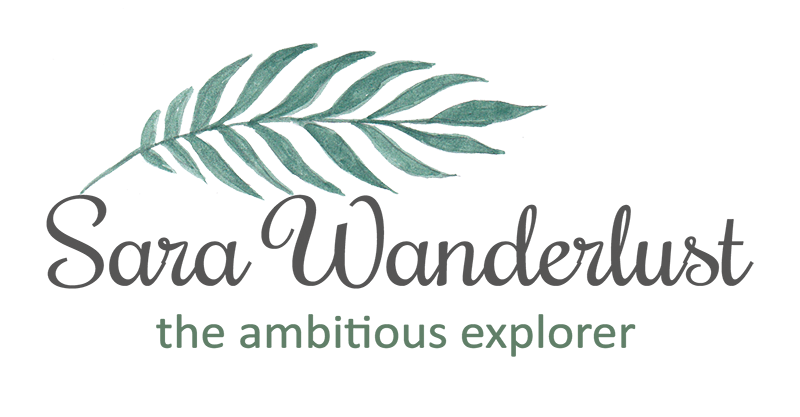 Featuring different cuts, namely, low profile chukkas, pull-on Chelsea styles, and Eathkeepers versions, these collections are exclusively made with eco-conscious materials. The 6" Premium Boot features an upper made with premium leather cut from an LWG Silver rated tannery, and has been designed with 400grams of PrimaLoft insulation. The seam has the classic seam-sealed construction with 100% nylon laces. With leather linings, rubber lug outsole and 3/4 length of the leather-lined anti-fatigue footbed, it would sure to impress any fans of boots. Retails at RM899 and it comes in 4 shades, namely Wheat Nubuck with Dark Sapphire, Dark Sapphire Nubuck, Teak Trailblazer, and Peat Trailblazer. Moving on to the other design, the Premium Waterproof Chukka is designed with upper made with premium leather from an LWG Silver-rated tannery, featuring a seam-sealed construction. Its constructed with 200grams of PrimaLoft insulation and has 100%nylon laces. With a padded collar and removable anti-fatigue footbed, you will definitely rock this style in comfort. It retails at RM689 and it comes in Teak Trailblazer and Peat Trailblazer. And there you have it! Legitly, I am in love with the Wheat NUbuck with Dark Sapphire as its bright yellow, making it a statement piece of its own to rock any outfit. 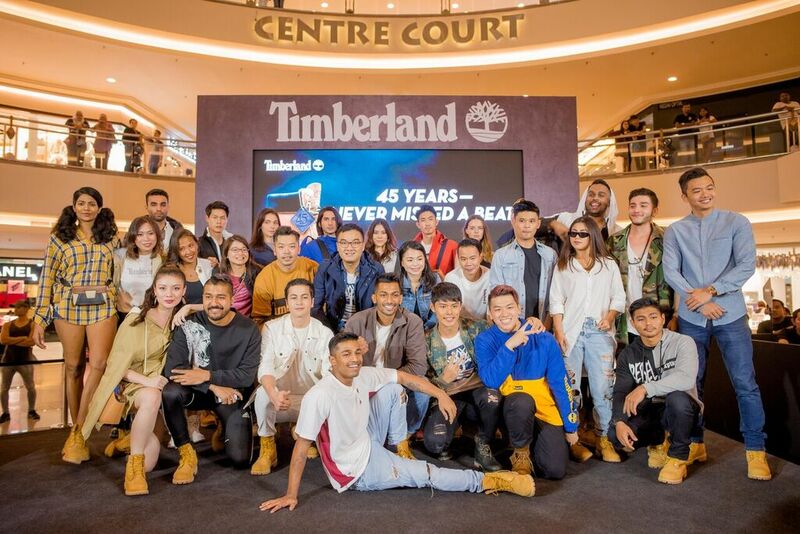 Also, to celebrate Timberland's exclusive private party, me and my plus 1 decided to do a little shopping to get a piece of Timberland to bring back to remember the occasion. Hehe. Well, that's all for now and if Timberland is reading this, HAPPY 45th BIRTHDAY Timberland! 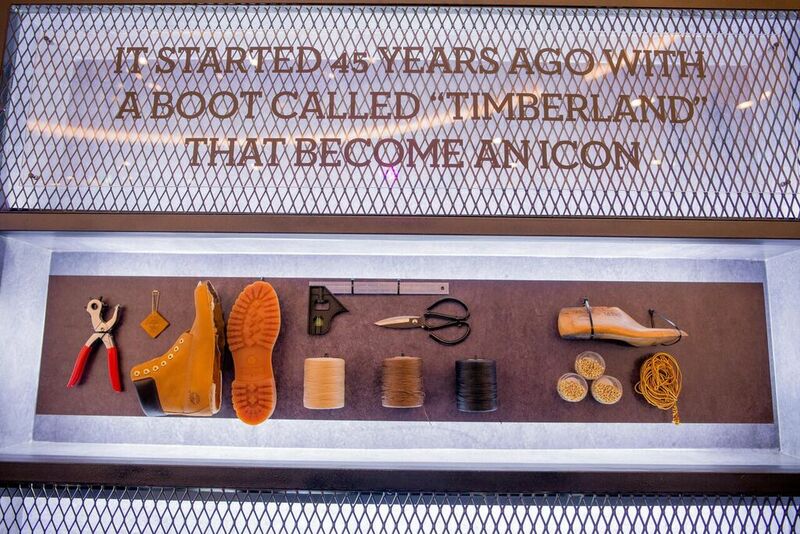 To many more years of fashionable iconic boots. 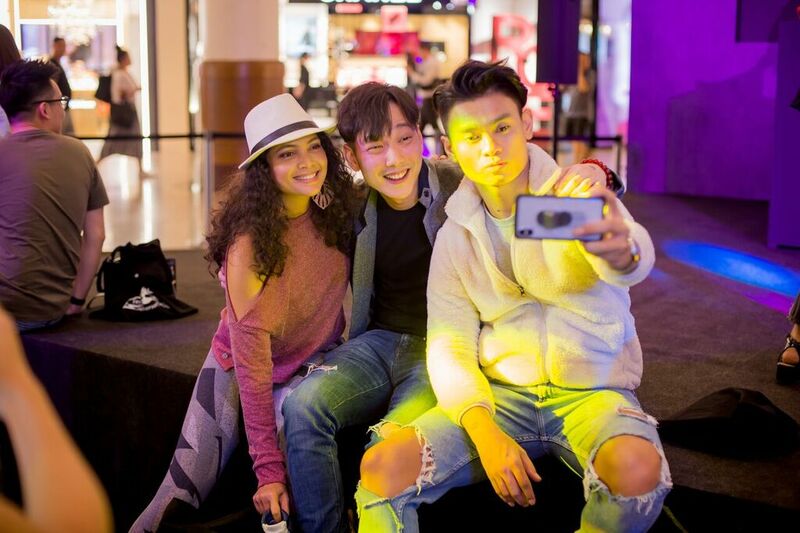 BeautyExpo 2018 Tour | Top booths you missed!